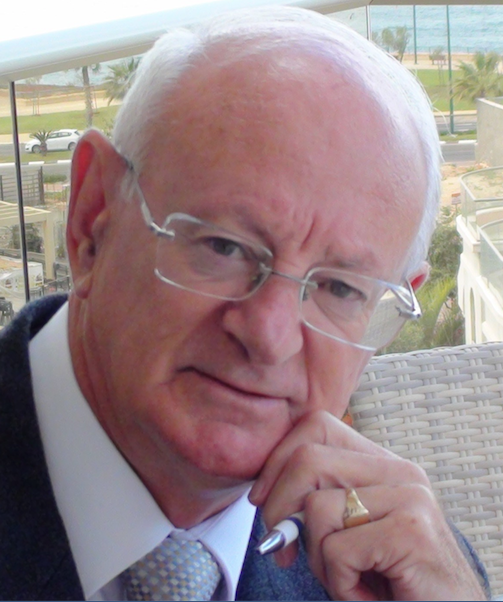 I have been critical of crazy far left, anti-Israel, activism in America, Britain, and Europe, but I have to admit the lunacy is alive and kicking – as well as killing – here in Israel as well. This was evident by demonstrators, both Arab and Jews, provocatively flying Palestinian flags. 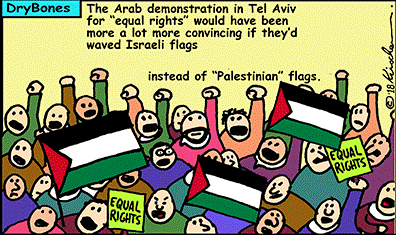 In fact, there were more Palestinian flags than Israeli ones. Israel proved itself to be so democratic as to allow the flag held dear by the PLO, Hamas, and Palestinian Islamic Jihad who openly declare their intention to destroy us and kill as many Jews as possible, to be flown in the very heart of Israel’s free democracy. 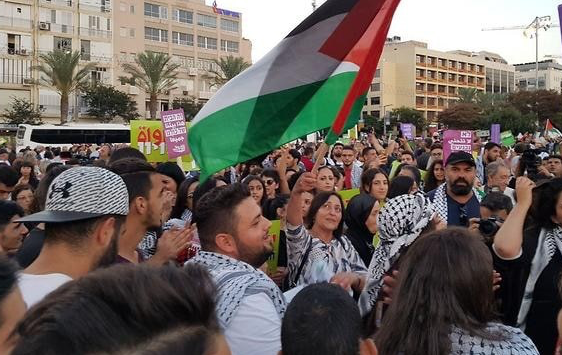 Let’s see a similar demonstration in Ramallah by Israeli protesters demanding that Hebrew be adopted as an official language in any future Palestinian state. Considering that both the PA under Abbas and Hamas in Gaza have declared that no Jew will be allowed to live in any Palestinian state – Good luck with that!